Summer continues this weekend: Arts fair, concert, new store and more! Want to make the most of this unexpected summery weather? Here are some suggestions! 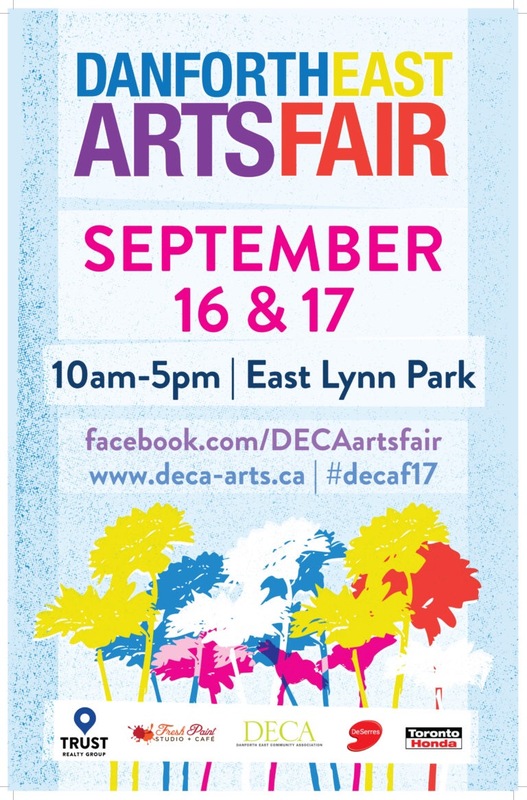 I know you know but here’s the poster again anyway because honestly, our 100% volunteer-run, juried (meaning the vendors were selected as the cream of the crop among many applicants) arts fair is such an amazing event. You must go. How fun is this? 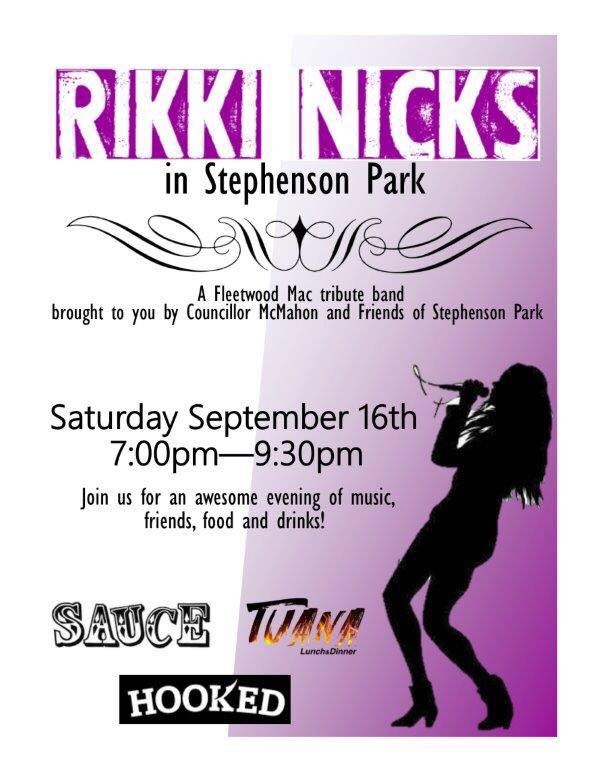 Awesome Fleetwood Mac cover band, plus food, wine and beer available for purchase from Sauce, Hooked and Tuana!?! Stephenson Park is by Main and Danforth, more or less behind Sobey’s. Kudos to Councillor McMahon and Friends of Stephenson Park for organizing. If you live in the area and want to help our with Friends of Stephenson Park, email us and we will put you in touch or contact them via their Facebook page. They really need volunteers, especially for the winter ice rink effort. 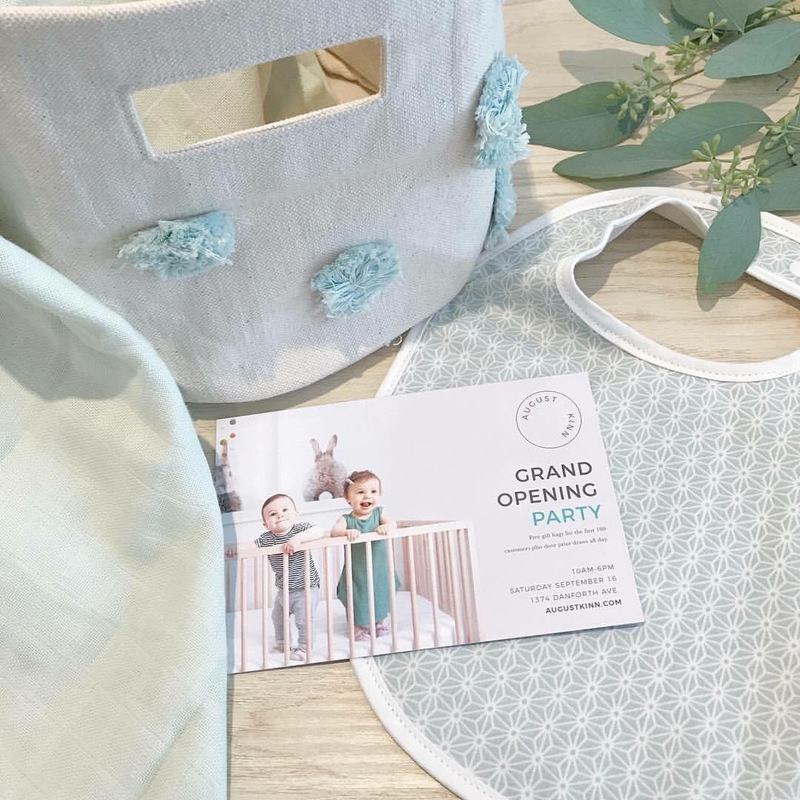 A lovely new store for baby things has opened between Coxwell & Greenwood. Visit them today for their grand opening event! They will have door prizes and other fun stuff so check it out. Okay fine, we *just* posted yesterday about our scavenger hunt and the impressive prizes available, plus our two fun #DECAde birthday parties happening on Thursday (Sept 21) and on Saturday (Sept 23) so here’s a link to that post in case you missed it. Do you love what DECA does? Support us by buying a $10/household membership. Click here! We are also looking for volunteers for events, our Board and for whatever your great idea is! Even more events later this week! 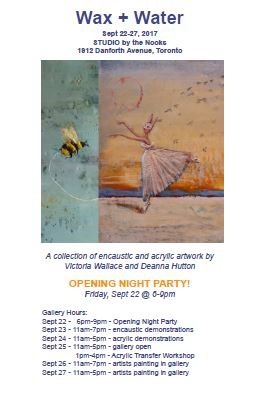 OPENING NIGHT PARTY – Friday, September 22 from 6-9pm. For those that can’t make it to the Opening, the Gallery will be open the following days/times. *Acrylic Transfer Workshop – $75 includes all materials – max 8 participants. To register, please contact Victoria at victoriawallaceartist@gmail.com. It’s a big deal for our locals to win these “best of” awards so take time to vote and show everyone in this city what #DanforthEast has to offer. Voting closes this Thursday (September 21) at 11pm so do not delay.